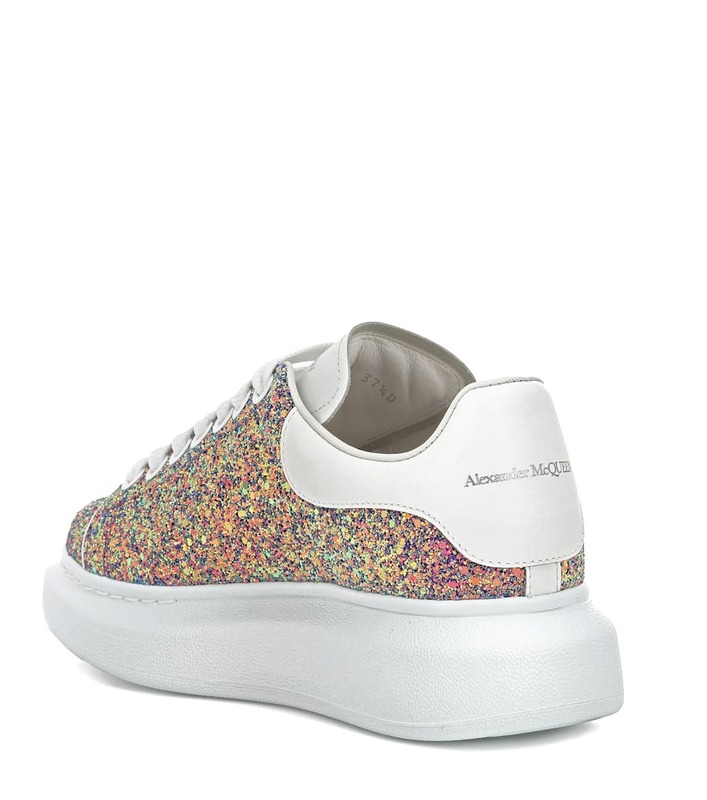 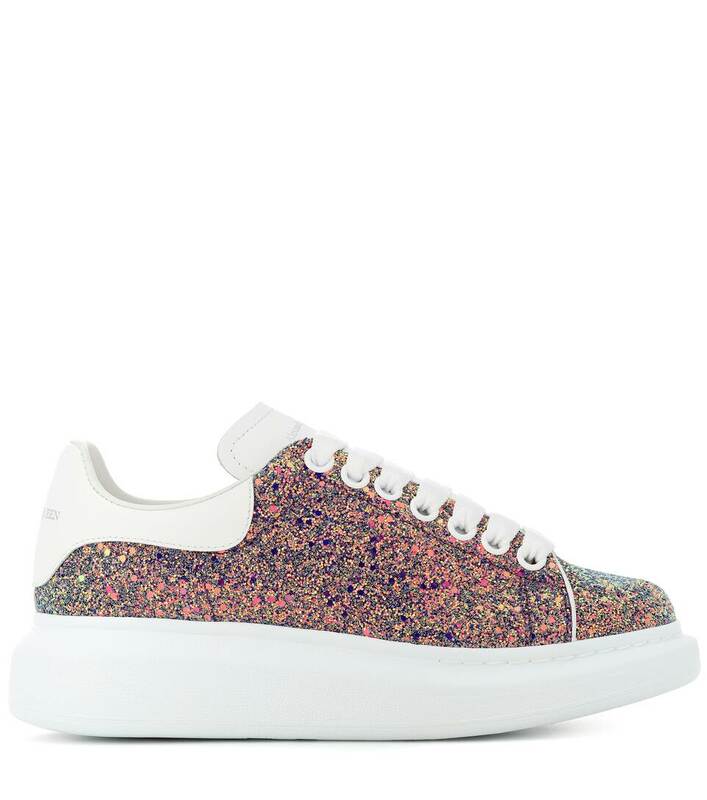 Covered in multicolored coarse glitter with a sparkling finish, these sneakers from Alexander McQueen combine street style cool with retro glamour. 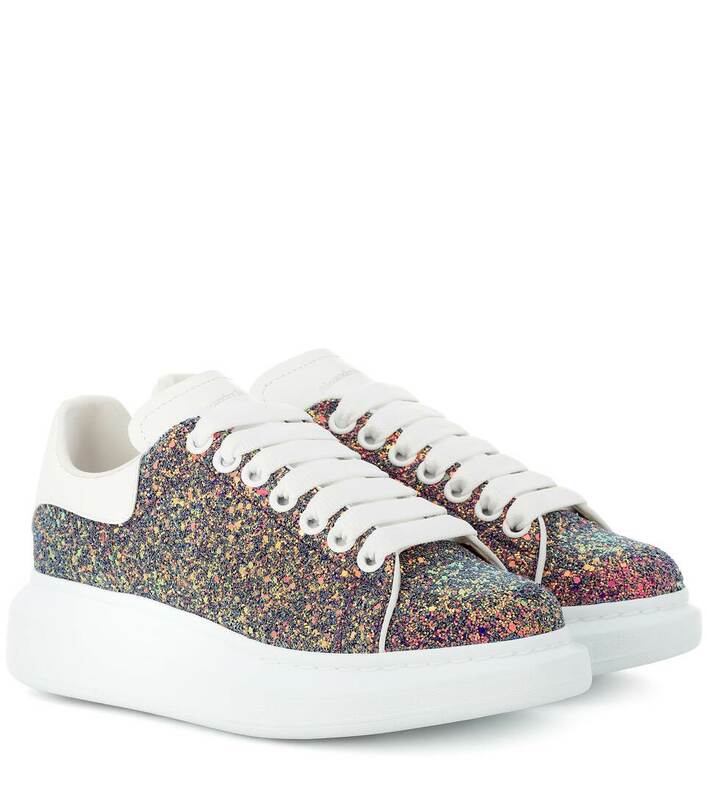 The low-top style is made in Italy, and features a white leather logo-stamped backstay and a high-contrast white rubber outsole. 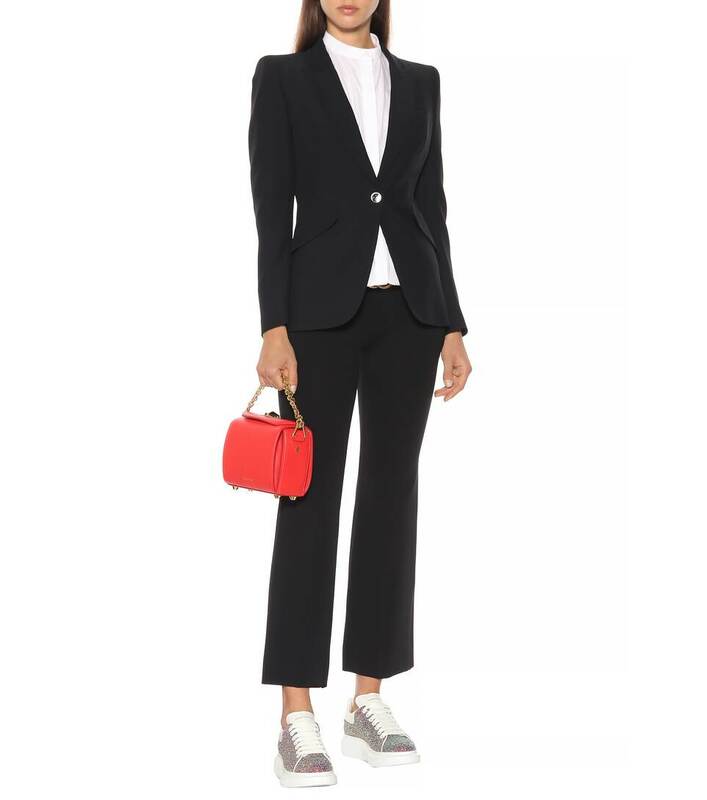 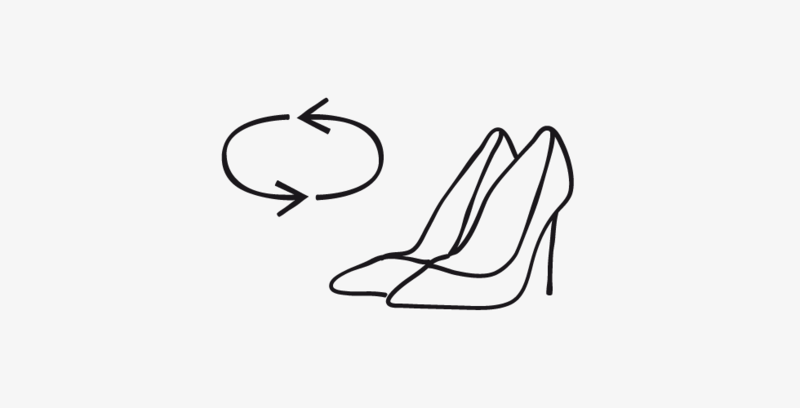 Create an unexpected ensemble by wearing yours with a midi dress.